P DIGGA COALCITY is no regular rapper, he's counted upon to do more than craft & curate a seamless rap music, it also needs to mirror the effects of the music. 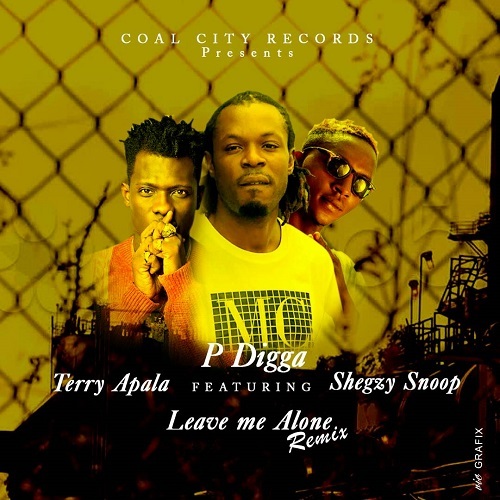 In a sense, this is P DIGGA's second single this year after previously released single IDI Bad. "Leave Me Alone" produced by YOGO BEATS, goes where many of P DIGGA's songs of seduction-play go from an atmospheric point of view. P DIGGA rarely sweetens the pot when dialoguing about his ex girlfriend in the song. He puts aside his criminal mind on "leave me alone," but is hard done by leaving the rougher aspects of his personality out the equation. Yogo Beat provides the bassy thump P DIGGA has become synonymous for. As for the MUSIC VIDEO of the song which is tends to drop to promote the song, comes out any moment this week.